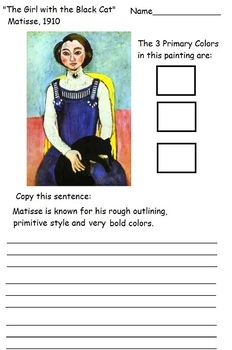 I made these worksheets for my ELL art students so they can learn to recognize famous artists and their artwork while learning art terms and the English language. 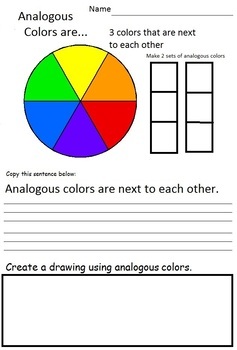 While the worksheets are in color, if you print them for the children in black and white, please show the color copy on your Smart Board or overhead. This is all about color, after all! You will need access to a color printer. Some images may be copyrighted. They are used in accordance with Fair Use in Education. These images will expand the art students' experience and knowledge of famous artists' artwork and promote art appreciation. 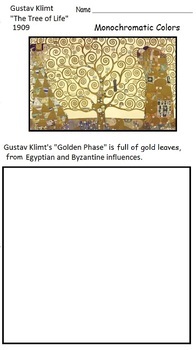 Art teachers historically used reproductions in order to teach about art, artists and techniques. Some images are in public domain. If you have any questions or concerns, please contact me before leaving negative feedback. 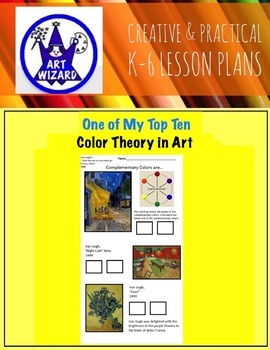 And, If you are unfamiliar with Open-Ended art activities, please download my free "Open-Ended Art is..."